The below photo is my lunch at Saffron, the best little Thai place ever. Me and this salad have had a thing going on for years. I LOVE it. I go to Saffron every time I’m in SD, it’s hard for me not to. Recreating this so I could make it all summer as been on my list for a while. It’s all about the dressing (not one drop of oil in this dressing, seriously I promise) and the freshest, ripest ingredients. 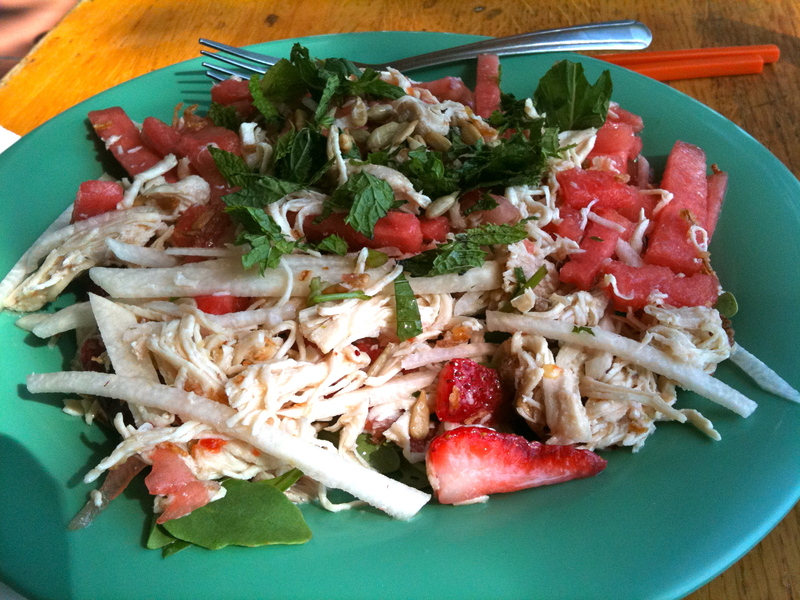 The soft crunch of the juicy watermelon, super sweet strawberries, extra crunchy jicama, tender chicken meat shredded thin all covered in the most amazing citrus dressing. Oh the greens, lets not forget the greens, spicy arugula and fresh mint, torn or cut in a fancy chiffonade and then topped with some roasted sunflower seeds or pumpkin seeds. Summer on a plate. Here is how you do it. Citrus Dressing, not one drop of oil in this dressing, seriously, really, promise! Combine all in a jar with tight fitting lid, shake to mix well, reserve for later. 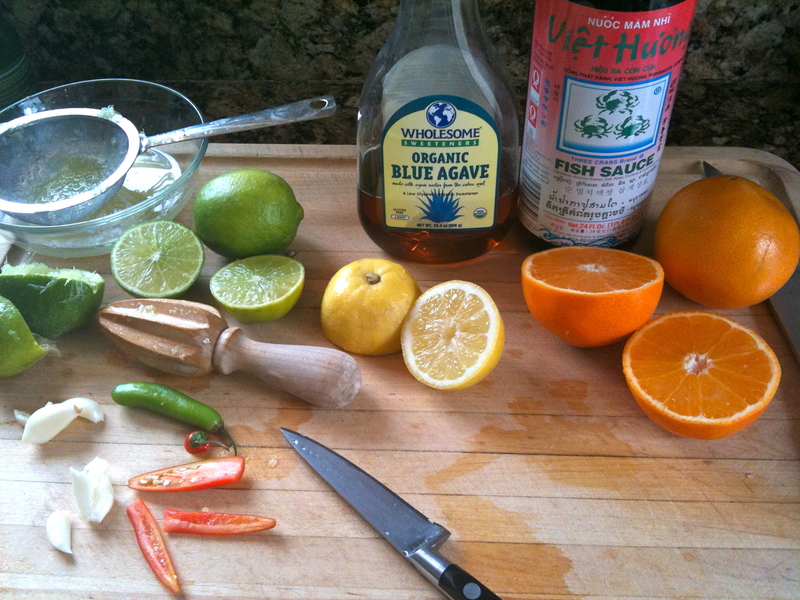 Now lets get our prep on, here is what you will need. 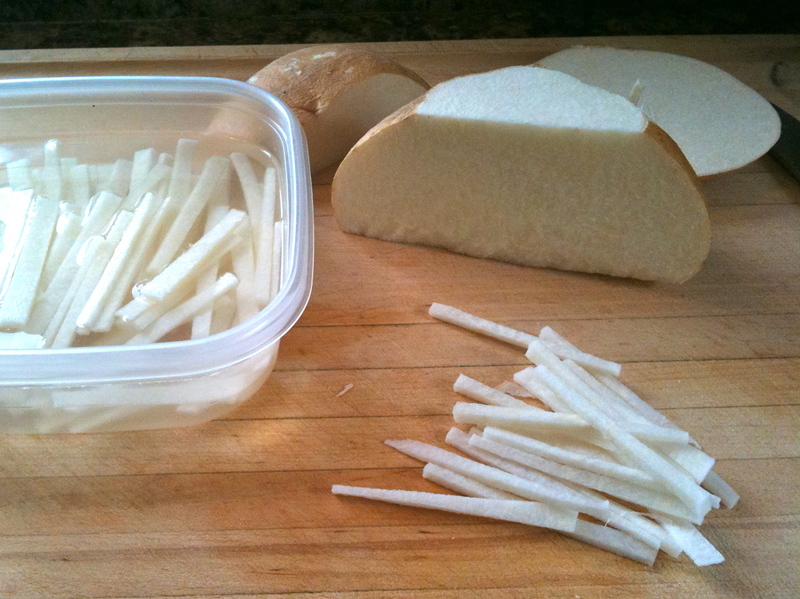 Jicama, cut into sticks/julienne hold in water until ready to serve. 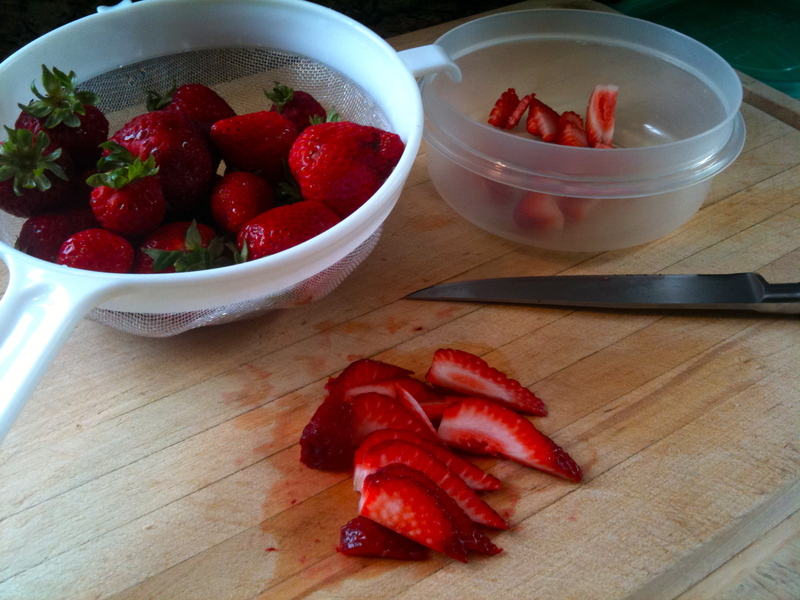 Slice strawberries in thin slices. 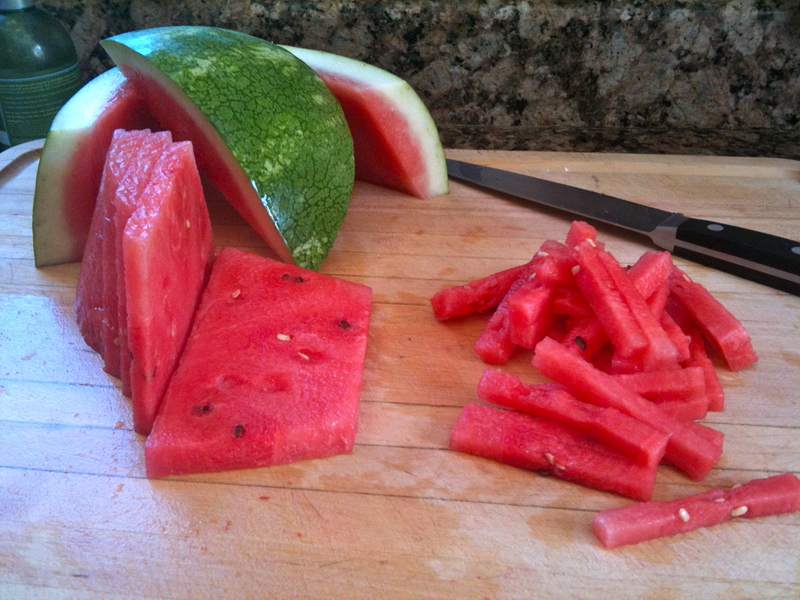 Slice the watermelon same way you did the jicama. 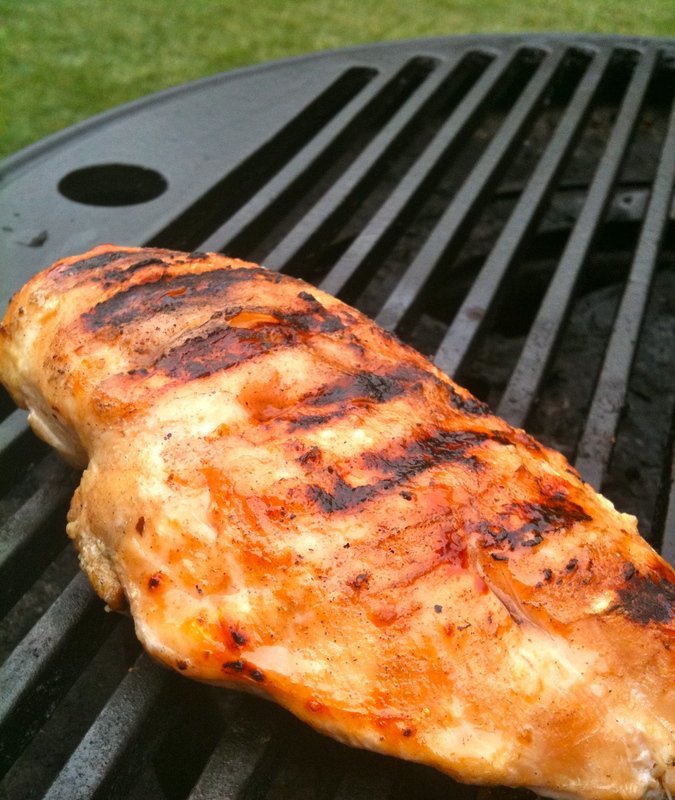 Grill some chicken breasts Clean and chop the mint and arugula, have all your items ready to toss for service. 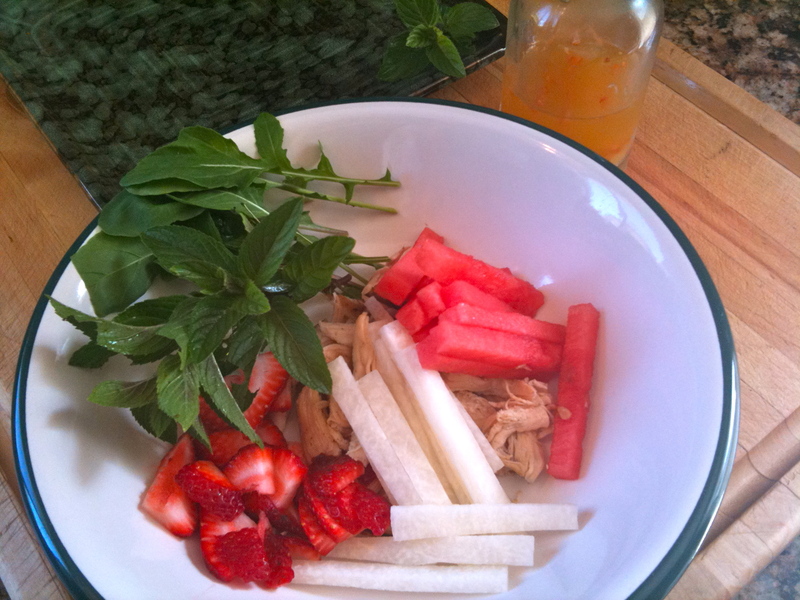 Put the strawberries, watermelon and chicken breast in a mixing bowl. Toss gently, add dressing and toss again with the mint and arugula. Transfer to service dish and garnish with roasted sunflower seeds. Enjoy this guilt free and delish meal! I hope everyone is enjoying the bounty at the farmers markets this summer, I sure am. I finally found lemon cucumbers! 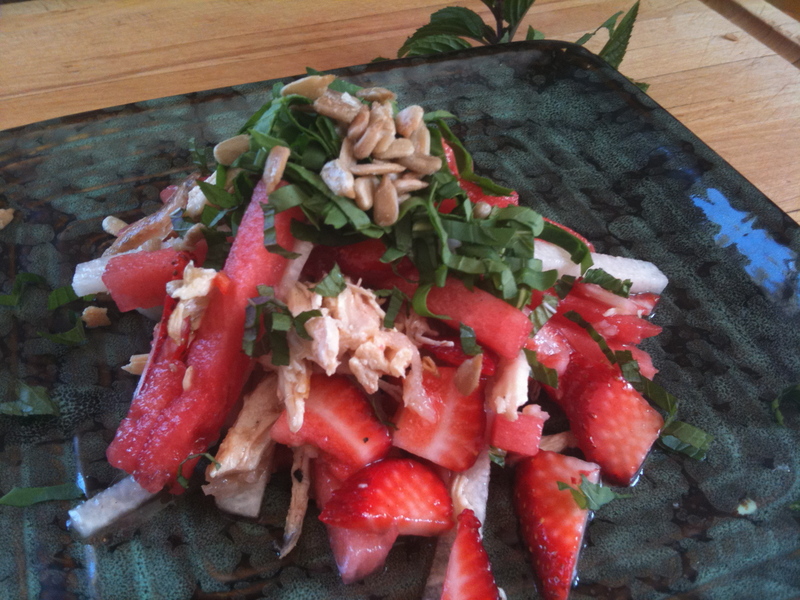 This entry was posted in Salad, Thai and tagged salad, thai by Sarah. Bookmark the permalink. Looks so beautiful and delicious! When are you coming over to make it? Oh this makes me very very happy. Nom! Delish! Can’t wait to make it!! Omgoodness I’m drooling! I totally am going to make it!! !